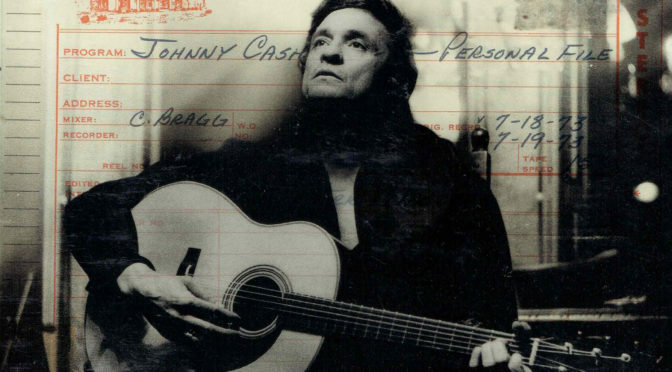 Johnny Cash, The Man in Black, is an iconic figure in American popular music. His deep bass-baritone voice and his bold — if sometimes contradictory — image made him a legend. He was raised on a New Deal cotton farm in Dyess, Arkansas. He served in the U.S. Air Force in Germany. He settled in Memphis, Tennessee and there broke into the music business. He was highly popular in the 1960s and early 1970s, but his popularity waned in his later years before a surprise comeback in the 1990s. Though ostensibly a “country” musician, he never quite fit the standard mold of a country artist. He didn’t sing with a country yodel or affected twang, and he usually didn’t wear a cowboy hat or cowboy boots. Even posthumously he still has a significant following of listeners with no interest in country music in general. His music doesn’t always appeal to very young listeners. Many only appreciate him when they get older. His career never depended on the Nashville country music establishment, which bolstered his image as a singular and unshakable personality who always set his own rules and did things his own way. Unlike other stars, like Elvis or Willie Nelson, Cash never maintained a big entourage. It was always just him. He struggled with drug addictions much of his life, and had numerous health problems in his old age. 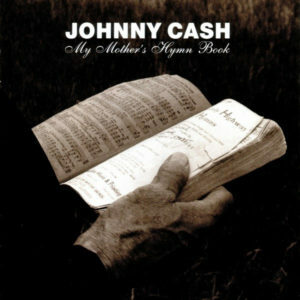 Cash’s recorded catalog can be difficult to encapsulate. For one, he recorded a lot. Many damn his full-length albums with faint praise: lots are good, but few are consistently great. 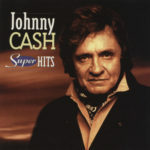 Some critics particularly dismiss his albums of the 1960s, though Cash disagreed and retorted that his 60s concept albums are some of the works he’s most proud of. Regardless of the specifics, even the lesser albums tend to have at least a few good songs. But this often leaves listeners grasping for compilations, many of which gravitate to a Cash cannon that omits a surprising amount of excellent work. Of course, there are the prison albums. He made three (or four), and two were his biggest commercial successes and the bedrock of much of his lasting fame. 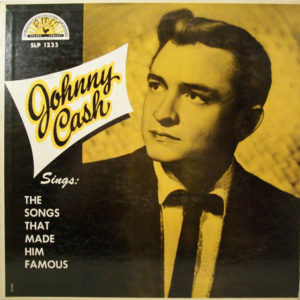 Cash’s big break came when he landed a recording deal with the iconic Memphis label Sun Records, run by Sam Phillips, the label that was at the epicenter of early rock ‘n roll. He also was in The Million Dollar Quartet, with the label’s other biggest stars, though he isn’t distinctly audible on any extant recordings of that group. 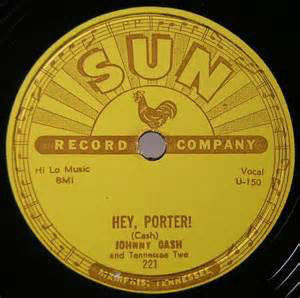 Though Cash had an interest in gospel music, his earliest sides were mostly country with a rock ‘n roll undercurrent and a whole lot of signature Sun Records reverb. He soon signed over to the major label Columbia Records when his early success presented that opportunity. Review: Johnny Cash was an artist who sort of arrived with all his major talents intact right from the beginning. His music evolved and changed over time, for sure. But his velvety bass-baritone voice and endearing brand of time-worn country wisdom are all in full effect on this, his first full-length LP. Being the early days of the LP format, this material wasn’t strictly recorded for the LP and many of these songs were previously released as singles. 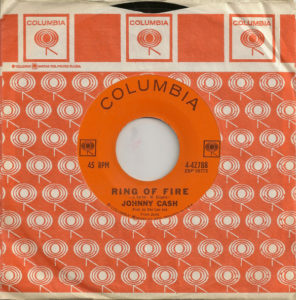 They were recorded between May 1955 and August of 1957. Cash plays with guitarist Luther Perkins and bassist Marshall Grant, the original Tennessee Two. 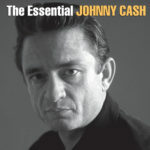 It’s a very spare and minimalist sound, which lets Cash’s inimitable voice take the spotlight. Perkins was a guitarist of pretty limited means. He really couldn’t play much more than a simple boom-chicka-boom rhythm, without any complex solos to speak of. He does a lot of the typical country strumming, alternating between low notes and high notes in the style of Maybelle Carter. But it’s iconic. 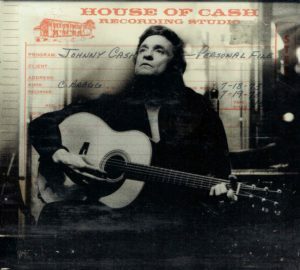 Perkins was the perfect guitarist to support Cash. 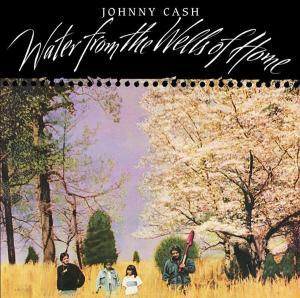 His playing has a little bit of rock influence, but that just provides a little counterpoint to Cash’s traditional country leanings. The other key aspect of the sound of this record is the reverb. Like much of the music recorded at the legendary Sun Studios in Memphis Tennessee, the reverb drenches the music in seductive, politely dangerous charisma. The songs here are great. 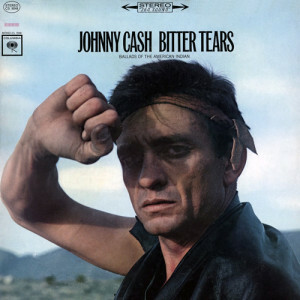 They include Cash’s first hit, “Cry! Cry! Cry!,” a Hank Williams tune, “(I Heard That) Lonesome Whistle,” and a song probably written by Charles Noell about a 1902 train wreck, “The Wreck of the Old ’97.” “I Walk the Line” was a song Cash liked to say was his best, and it’s hard to argue. 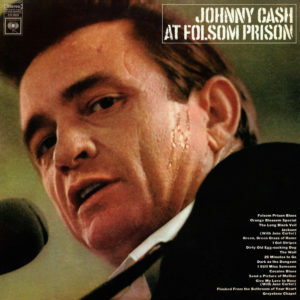 Another of his most famous compositions, “Folsom Prison Blues,” was written after Cash saw the film Inside the Walls of Folsom Prison while in the U.S. Air Force stationed in Germany. He pretty liberally borrowed the melody and lyrical structure of Gordon Jenkins‘ “Crescent City Blues” (part of “The Second Dream – The Conductor” from Gordon Jenkins’ Seven Dreams (A Musical Fantasy)), and paid Jenkins in the 1970s for what he borrowed. 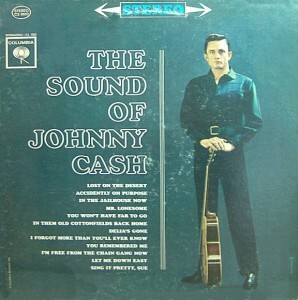 He also adapted the famous line “I shot a man in Reno/just to watch him die” from Jimmie Rodgers‘ “Blue Yodel (T for Texas)”: “I’m gonna shoot poor Thelma/just to see her jump and fall.” But Cash’s song is superior to any of its reference points. “I Was There When It Happened” is a country gospel number. 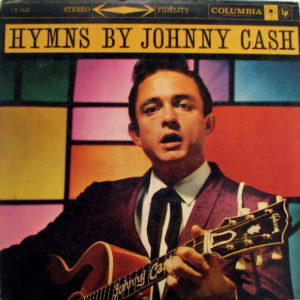 Cash wanted to perform gospel music from the beginning, but opportunities were limited to record it in the early days. It would remain a factor in his music for his entire career. What made Cash so special is damn hard to put your finger on. He sang about a lot of the ordinary aspects of life: work, travel, liberty, death, religion. He did do romance and love songs, but a lot less than many other famous singers. When he did do them, they weren’t anything like the hyper-sexualized fare that came to dominate rock music. There was a connection to the “old weird America” that Greil Marcus described with respect to Harry Smith‘s iconic Anthology of American Folk Music. 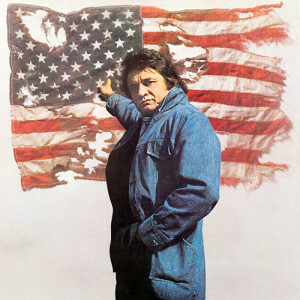 Cash’s songwriting, as well as his song selection, tended to emphasize an “ordinary” individual’s reaction to extreme situations: being confined to prison, natural disasters, threats to making a living, and so on. He confronted these situations with varied amounts of humor, lament, determination, dignity and enthusiasm. Yeah, Cash could take these situations and make them fun and funny. But that’s just the way his music reflected how human beings sometimes deal with stress and tragedy, and what they aspire to in the best of times. 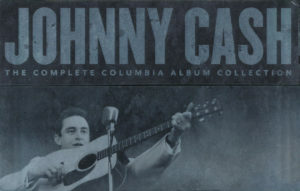 Cash established himself at Columbia Records at the end of the 50s, where he would remain for decades to come. His popularity rose, but just as his career was starting to fade he would find his biggest commercial successes with a pair of live prison albums. He began taking increasing amounts of amphetamines and other drugs in the Sixties to keep up a brisk touring schedule. But increasing drug use led to problems. In June of 1965 his truck caught fire and caused a forest fire in Los Padres National Forest in California. His behavior was erratic, unreliable and a bit crazy. Chronic laryngitis was brought on by pills and booze. He divorced his first wife in 1966 and moved from California to Tennessee. He curbed his most serious drug problems in late 1967, though he continued to use various drugs on and off into the future. 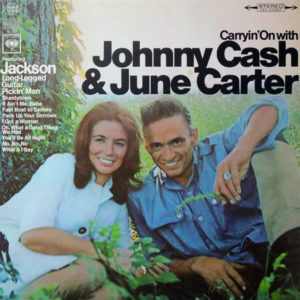 In 1968 he married June Carter. Then, in late 1968, original Tennessee Two guitarist Luther Perkins died as a result of a fire in his home, likely started when Perkins fell asleep with a lit cigarette in hand. Cash took on Carl Perkins as guitarist in his working band, who gave Cash’s music a bit more hefty rock ‘n’ roll edge for a time. 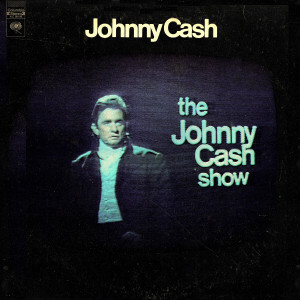 In 1969 Cash began his own TV show on the ABC network, The Johnny Cash Show, which resembled variety shows of the day, complete with regular musical performances by Cash and guests. 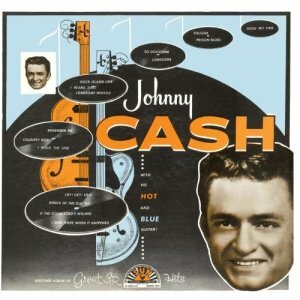 Review: When Cash moved to Columbia Records, his first few albums continued where he had left off at Sun Records. There was a mixture of teen-idol material, now having more elaborate production, with gospel and folk. 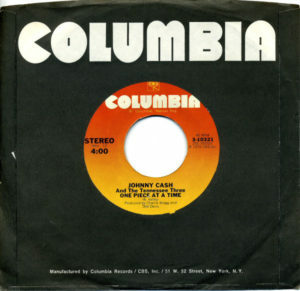 These early Columbia albums were produced by Don Law. Now, There Was a Song! featured the addition of producer Frank Jones. Law and Jones would continue to work with Cash for most of the decade. Together, the three created a series of concept albums — though the “concept” is more stylistic than thematic here. Recorded: August 14, 1959, Nashville, TN; March 10-13, 15, 18, 19, 23 and April 26, 1965, Nashville, TN. 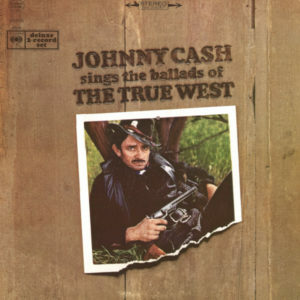 Review: Listening to Johnny Cash’s double-LP concept album Sings the Ballads of the True West, it’s hard not to think of Marty Robbins‘ legendary album Gunfighter Ballads and Trail Songs. Both are thematically focused on the American “wild west” of the late 19th Century. 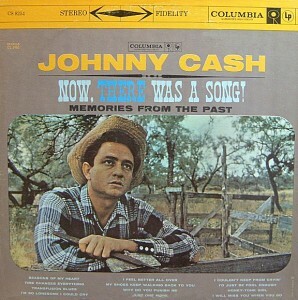 Cash made attempts to research the era, and locate suitable material. 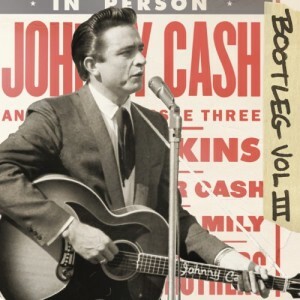 But like Robbins, Cash ends up with something more like a Hollywood Western than the genuine article, because he’s often backed with an orchestra or modern vocal chorus. Which is to say that any authenticity to be found here lies in the lyrics and the song selection, not so much in the performance. Still, he manages to convey something of the times. A wonderful banjo helps with that feeling. If The Man in Black developed something of an outlaw’s image, then the tales of gunfighters and hard times on display here did their part to build it in earnest. He’s definitely interested in this stuff. 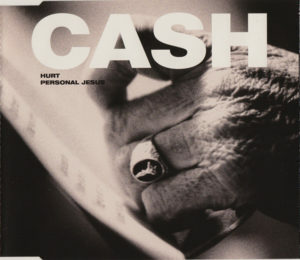 More than most of Cash’s concept albums, this one maintains a focus on the underlying theme quite rigorously. But like pretty much all of these concept albums, quality of the tracks varies, and some probably won’t care for the between-track narrations at all. 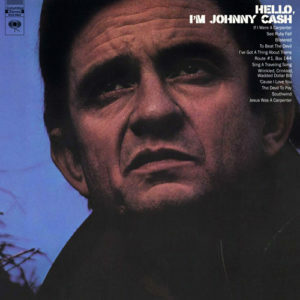 Recorded: January 11 to May 22, 1967.
Review: Hello, I’m Johnny Cash, with it’s folksy leanings, set the tone for most of Cash’s early 1970s recordings. Man in Black took that same approach to one end of the spectrum, with a more stripped-down delivery. By way of contrast, Any Old Wind That Blows would go to the other end of the spectrum, with a more orchestrated delivery. 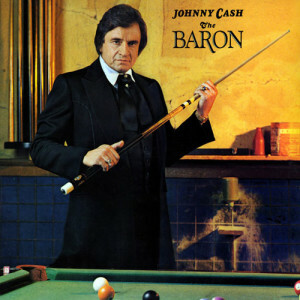 Cash’s popularity peaked at the beginning of the 1970s. He remained popular after that, but his record sales began to decline. He became very religious as a “born again” christian. Considerable effort went into making the movie The Gospel Road, about Jesus, which Cash long considered one of his most important works. Drug abuse continued to be a problem. At the end of the 1970s, original Tennessee Two & Three bass player Marshall Grant was kicked out of Cash’s band in relation to Cash’s drug problems and a dispute over retirement fund embezzlement by Cash (much later the two resolved their differences). 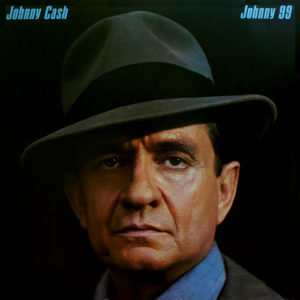 Although all of Cash’s most successful albums tended to be those made with producers who worked with Cash for extended time periods, in the 1970s and 80s he worked with a variety of different producers and did some of his own production. The only consistent presence was producer/engineer Charlie Bragg in part of the 70s. Cash relied less on his sense of humor in the 80s. In 1982, Cash, his family and some friends were held hostage as part of a robbery of his home in Jamaica, with no injuries. His long-time association with Columbia Records ended, and he signed with Mercury Records. He also released a few recordings on Word Records and Cachet Records when Columbia wouldn’t release them. 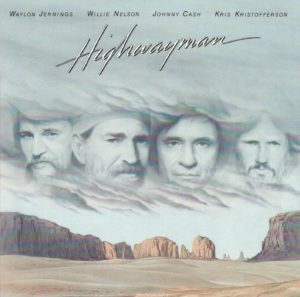 Cash also teamed up with friends to form the country supergroup The Highwaymen. Review: While not Cash’s finest moment by any means, The Rambler is his most interesting and unique album of the late 70s. 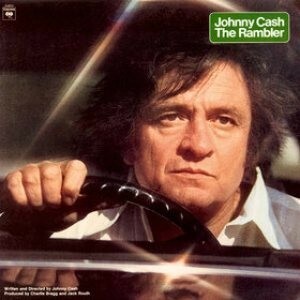 The basic premise is that Cash plays The Rambler, a sort of “wise old man” character driving across the country. Along the way he picks up The Fisherman, who is something of a reluctant hitchhiker (the Rambler has to persuade him to come along), and The Cowgirl, who claims to have killed her “old man” and talks about cheating a pinball machine — which only cost a nickel — to play for over two hours. The dialogue/skits are woven together with songs that pick up on themes and events mentioned in the skits. It fits somewhere in the continuum of uniquely American road travelogues, like Woody Guthrie‘s “Bound for Glory,” Jack Kerouac‘s “On the Road”, Monte Hellman‘s cult film Two-Lane Blacktop, and a host of others. Cash does okay with his foray into the genre. Even though the album is theatrical and fictional, the format allows him to really run with a lot of themes that have coursed through his work. The topics seem meaningful to him and his treatments pretty genuine. The very idea of traveling around the country aimlessly is pretty radical. It seems to be premised on the idea that people aren’t entirely independent, and are unable to completely control their own destiny, because of ties to “the system”. But, maybe, traveling long and far enough, some chance will arise to kind of break free and remake your life. 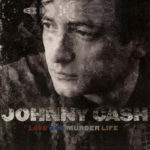 Review: It had been nearly twenty years since Johnny Cash had recorded anything of much substance. He wasted much of the 1970s and 1980s with Columbia Records, churning out by-the-numbers country music that followed some of the genre’s laziest trends. With a few exceptions, his work was even worse with Mercury Records in the late 1980s and early 1990s. So, when he got together with producer Rick Rubin in 1993 to record an album for his upstart American Recordings label, expectations weren’t exactly high. 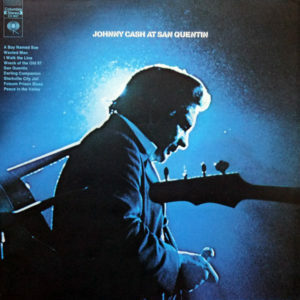 Fortunately, Rubin set up the conditions for Johnny Cash’s late career resurgence by suggesting that he strip his music bare and get at the essence of what made him so great for so long. Cash has always been an artist filled with contradictions: he’s a God-fearing Christian, a frequent and seemingly unrepentant sinner, a humanitarian, a womanizer, a drug abuser, a lonesome cowboy, a heretic, and has long expressed a camaraderie with prisoners. 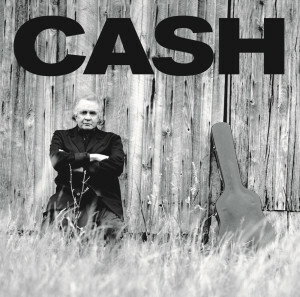 His multi-faceted personality is stamped all over the songs that form American Recordings. 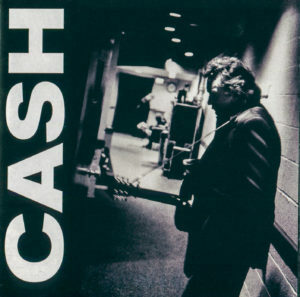 Cash’s bass-y voice, stripped of the saccharine studio instrumentation and gimmicks that made 80s music often sound so weak, resonates, sounding both full of wisdom and road-weary. 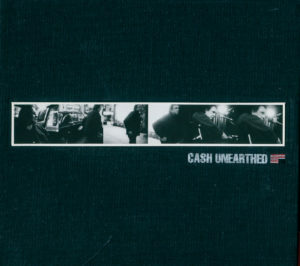 Here is a selection of items in Cash’s catalog and related releases that may not represent his best work — nor his worst necessarily — but stand out as being unusual. These are featured for amusement and the interest of the most dedicated completest fans. 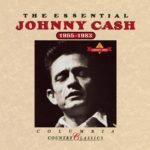 Track-for-track The Essential Johnny Cash 1955 -1983 is probably the best Cash compilation available. But it ends with 1983 and therefore excludes the last 20 years of his career. So it’s only part of the picture, though in truth you wouldn’t miss much in the 1984-1993 period. Also bear in mind that it takes a rather conservative approach to song selection, sticking to higher charting singles and not making an effort to uncover forgotten album tracks, live recordings, or the like. 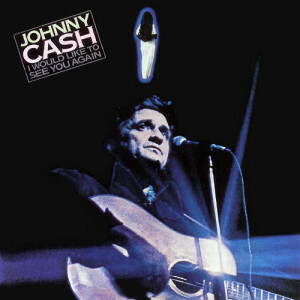 Another of the best Cash compilations available, though again it omits material from his late-career comeback. 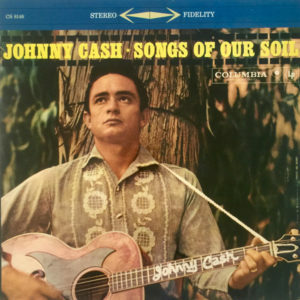 Chances are the fourth disc will garner fewer repeat spins than any of the first three, but the biggest strength of the collection is that it presents some new ways to hear Cash’s music and think about the broader themes in his work. 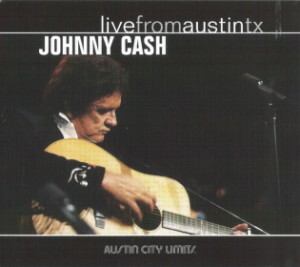 A really good two-disc collection that unfortunately omits material from Cash’s late-career comeback. 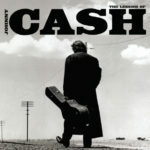 Sadly, as of this writing, there is no best-of collection of just Cash’s comeback available to round out your overview. 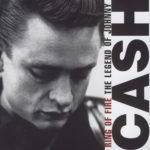 Good single-disc career-spanning collection that looks even better when paired with the companion collection The Legend of Johnny Cash, Vol.II. The nice thing, though, is that if you like this you can pick up Vol. II without worrying about duplicates or spending all the money for two discs up front. A single-disc career-spanning collection. The inclusion of the guest spot for U2 on “The Wanderer” is a puzzler, but otherwise featuring a lot of great tunes. Just don’t think this is all Cash has to offer though! 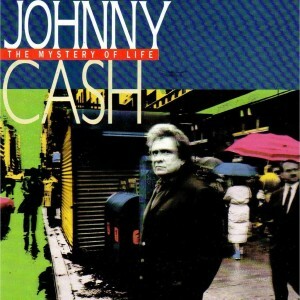 A four disc set of music selected by Cash around four themes: Love, God, Murder and Life. Each is available separately too. 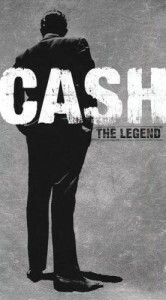 It picks up the biggest themes and presents a lot of lesser-known songs to weave together the story of Cash’s career. The God disc is far and away the weakest. If you pick these up separately start with Murder. Once widely available cheapo compilation that actually will work fine for getting into Cash’s biggest hits. It’s just the tip of the iceberg, but most casual listeners will be more than satisfied with what they do get on this superb set of music. A massive box set with more or less all the Columbia albums and singles, plus more. This set will be outside the budget of most listeners, but it was obviously assembled mostly as a way to get Cash’s neglected back catalog digitized to allow the sale of the individual albums (and songs) for download. 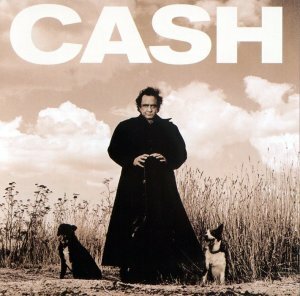 We have each picked our top five favorite Cash albums and ten songs from albums or singles not featured on the list above (excluding compilations), as a sort of alternate ways to look at his catalog. Consider this a shortened way for us to recommend some good records and songs to a newcomer. Johnny Cash With His Hot and Blue Guitar! 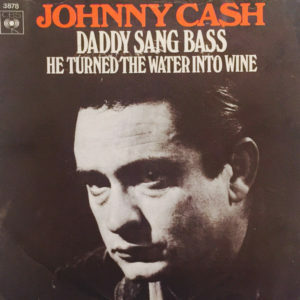 This is only a brief introduction to some of the many players who’ve contributed to Johnny Cash’s music over the decades, focusing on regular backing band members and frequent collaborators. Primary instruments have been listed, though some of these musicians are multi-instrumentalists and not all instruments are listed. 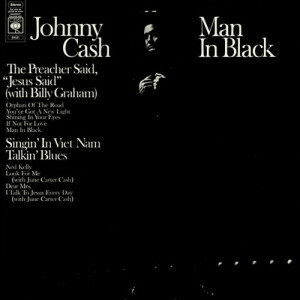 Man in Black: His Own Story in His Own Words – Cash’s first autobiography, which is pretty heavy on discussion of his recent “born again” religious turn. Cash seemed to use religion as a crutch in trying to beat his drug addictions. This book is far less interesting than Cash’s second autobiography. Five Minutes to Live [AKA Door-to-Door Maniac] (1961) – crime thriller starring Cash. The first of many fictional movies Cash acted in. The Gospel Road (1973) – Jesus movie by Cash. Walk the Line (2005) – somewhat poor biopic on Cash (modeled after Ray). Avoid this if you want an accurate picture of Cash’s life, or if you simply want to watch a good movie. 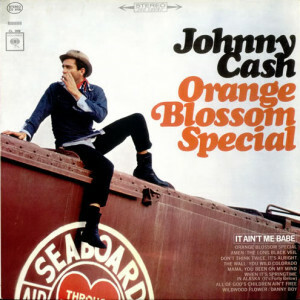 This should not be confused with the earlier fictional movie I Walk the Line (1970) that merely used a Cash song as the title and featured Cash on the soundtrack. Walk Hard: The Dewey Cox Story (2007) – very funny music biopic satire that references Johnny Cash’s life (and Walk the Line).